Pontedera, October 17th, 2011 - Piaggio Group unveils two new items in the scooter world early with respect to the EICMA 2011 show (Fiera Milano exhibition centre from 8 to 13 November 2011), which interpret the tendency toward powerful and larger capacity engines which will be introduced at the upcoming international two wheel motor show. The high wheel Piaggio Beverly SportTouring 350 scooter and the Aprilia SRV 850 maxiscooter represent two extraordinary pieces of news in their respective engine capacity segments. 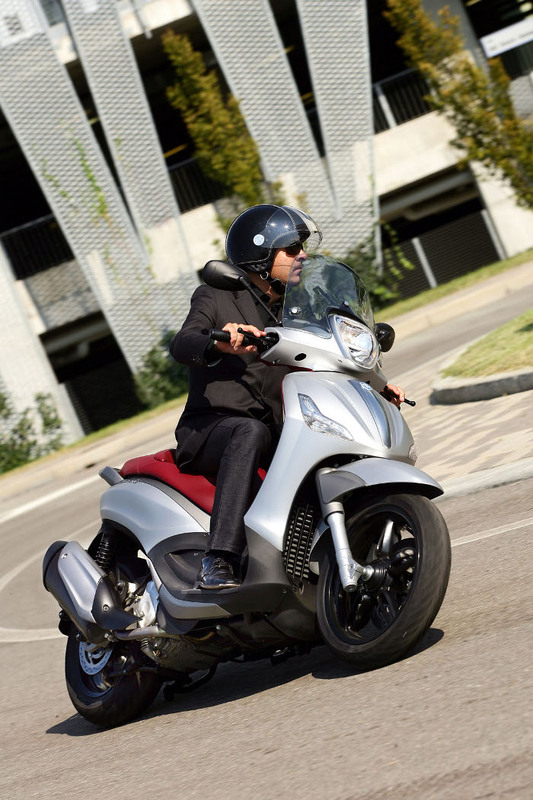 They also confirm the innovative skills of the Piaggio Group which will introduce other important models for the Group's main scooter and motorcycle brands at the 69th edition of the International Motorcycle Show. 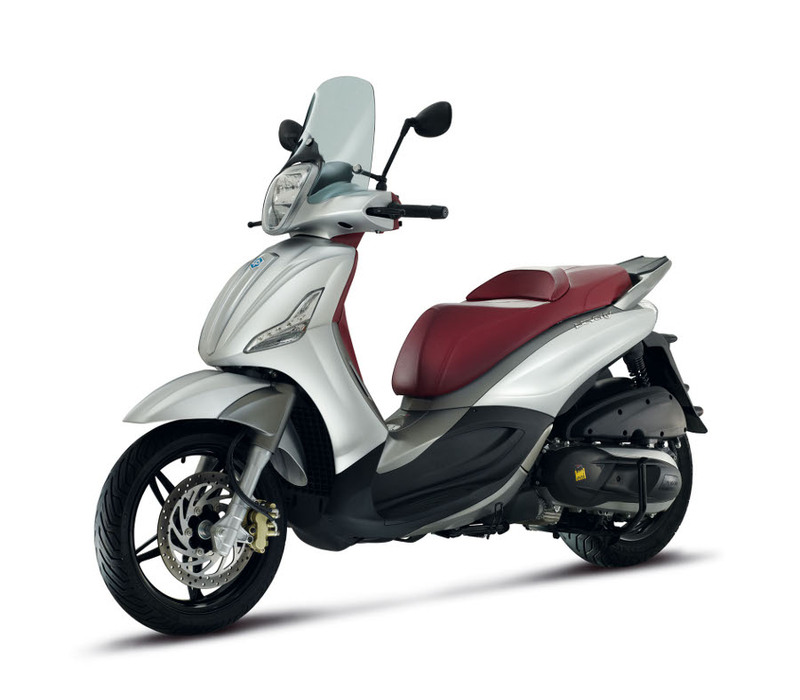 With Beverly SportTouring, Piaggio's high wheel best-seller – more than 310,000 units sold from 2001 to the present – is enriched with a new model with a sport character. A completely new 350 engine, 150/70 rear tyre and a new look for an evolution which takes the class and elegance of Beverly into a sport style. Beverly SportTouring is the first model from Piaggio equipped with the brand new 350cc engine with more than 33 HP of maximum power: a unit designed and built to obtain performance in line with that of a 400cc but with weight, size, emissions level and operational costs which are comparable to those of a more compact 300cc. The new Beverly SportTouring is also the first scooter in the world to be equipped with ABS/ASR, a particularly advanced feature, designed to take maximum advantage of performance in complete and constant safety. 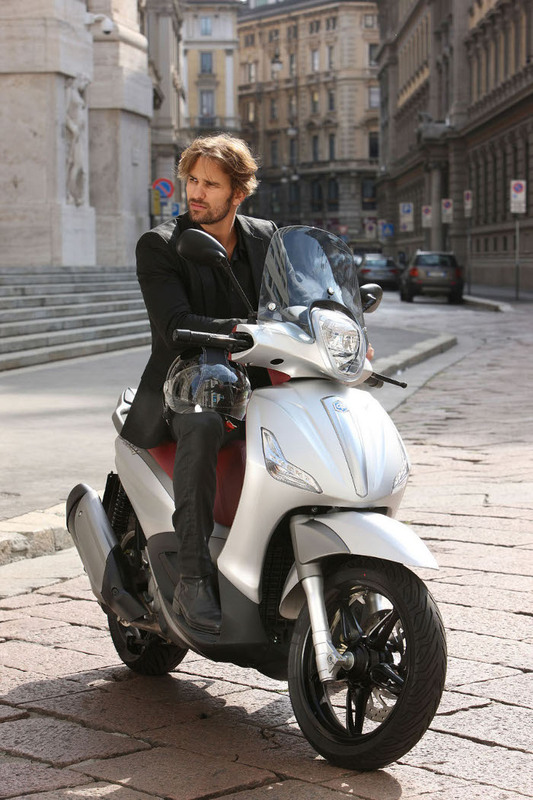 On display today at Spazio Broletto 13 – the Piaggio Group showroom in the heart of Milan – Beverly SportTouring will go on the market during the Milan Motorcycle Show. The “maxi” SRV 850 is the big scooter news which all the EICMA 2011 visitors will be able to see on display by Aprilia, the most victorious Italian and European brand of all operational motorcycle manufacturers, boasting a collection of 2 world titles in Superbike, 7 world championships in off road disciplines, and an astounding 37 titles in Motorcycle Grand Prix. 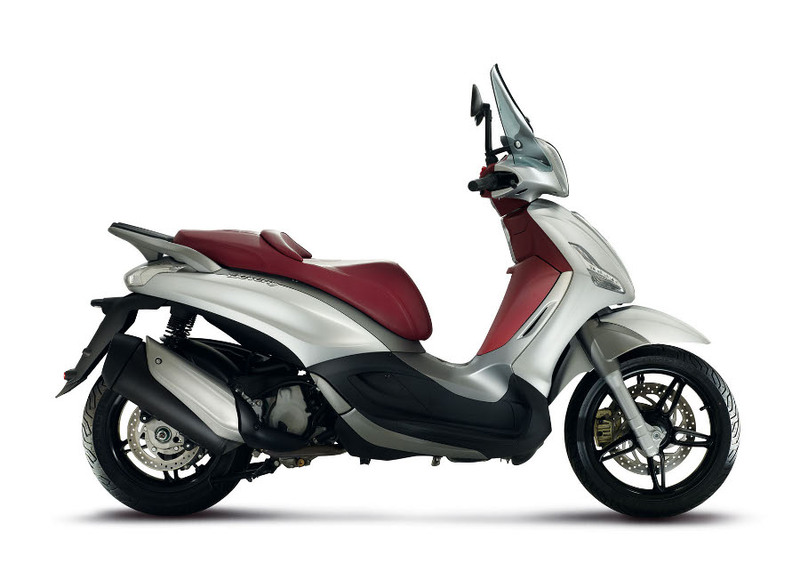 Aprilia SRV 850 redefines the limits of the scooter world: power, balance, a sports spirit and design, all wrapped up in this new scooter, reminiscent of the technical, performance and aesthetic standards of Aprilia's superbikes. 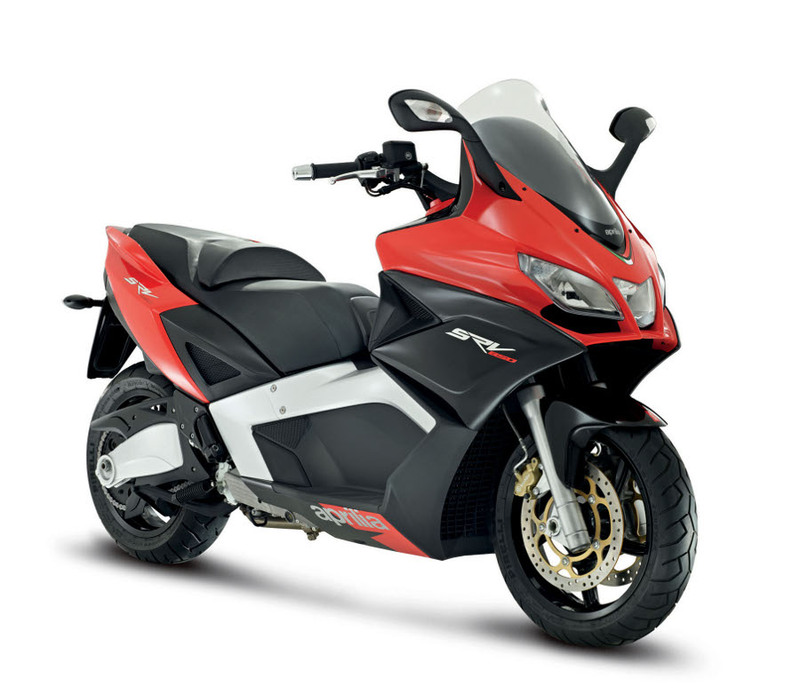 SRV 850 is equipped with the first and only 850cc two cylinder 90° V 4 valve electronic injection scooter engine, capable of reaching maximum power of 55.9 kW (76.0 CV) at 7,750 rpm and maximum torque of 76.5 Nm (7.8 kgm) at 6,000 rpm, numbers which place the new SRV 850 at the top of its category. 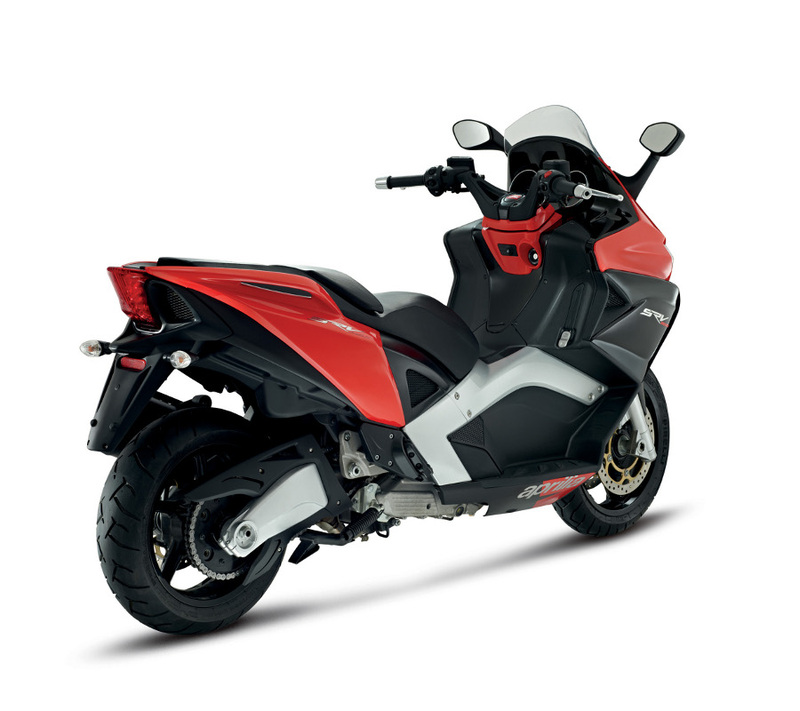 The style is a clear reference to the Aprilia superbike world and all of the technical skills of the engineers in Noale who – starting from the Gilera GP 800, introduced in 2007 as the most powerful scooter in the world – advanced that revolutionary project from an engine performance, chassis and riding set up point of view. 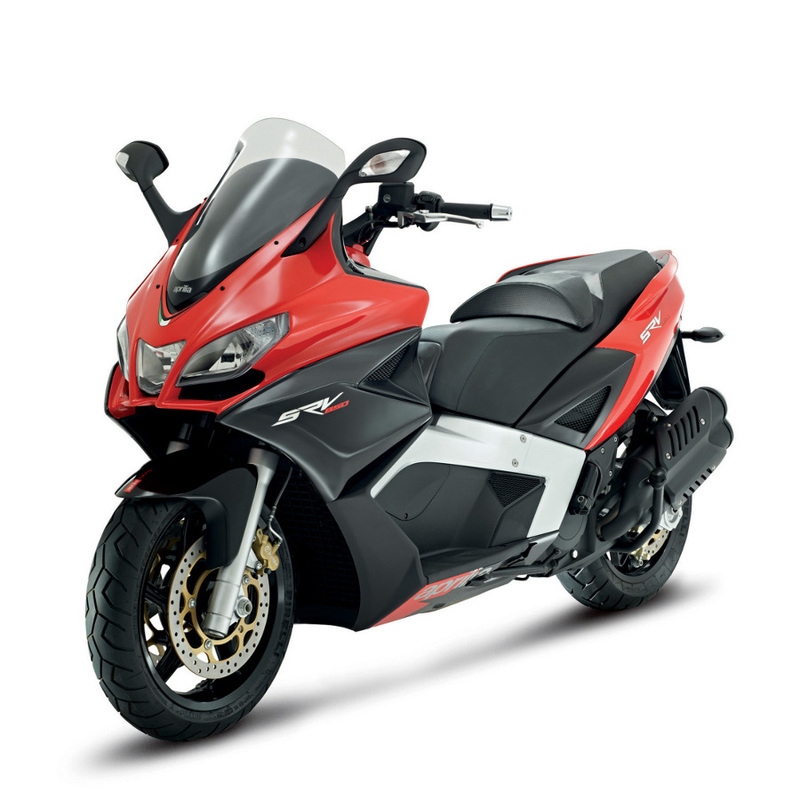 No fan will have trouble recognising the stylistic standards in the new SRV 850 which, together with performance, contributed to confirming Aprilia motorcycles as the point of reference in the world of competitive motorcycles.